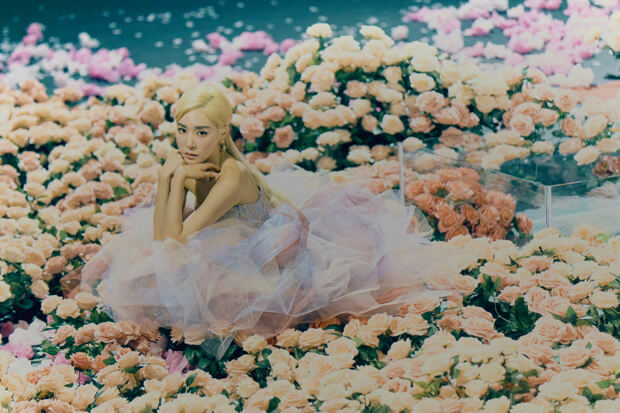 Tiffany Young Celebrates A Perfect Kiss On Dreamy Single "Lips On Lips"
Tiffany Young really knows how to celebrate the holidays in style. The 29-year-old dipped her toes in original festive fare with the release of her addictive Christmas anthem “Peppermint.” Today (February 14), she honors Valentine’s Day by unleashing her new single “Lips On Lips.” However, this one is more than just a tribute to the lovers’ holiday. It also serves as the title track to her soon-to-be-released EP, which drops February 22. And one listen has us even more excited for the rest of the project to arrive. Featuring an effervescent production, it is a sweet bop all about kissing the love of your life. Her latest joins the previously released “Born Again” on the forthcoming tracklist. At the rate she’s going, this could easily be one of 2019’s strongest EPs. Give “Lips On Lips” a spin below!